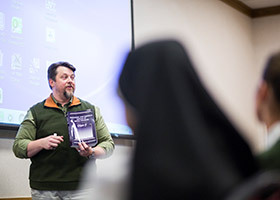 FORT WORTH — Before a crowd of catechists, parents, mental health professionals, directors of religious education, and parish leaders, Jason Whitehead, diocesan director of Faith Formation, read aloud from a pastoral document published last year by the U.S. Catholic bishops. It’s an apt reminder of the Catholic’s call to include everyone into the celebrations of the life of the Church. Whitehead said his passion for such issues derives from the fact that his son is autistic. The above applies to all, Whitehead said, yet added that such is not common knowledge throughout the diocese. Annemarie Bohn, a mother of disabled children and a parishioner at St. Martin de Porres in Prosper, agreed. 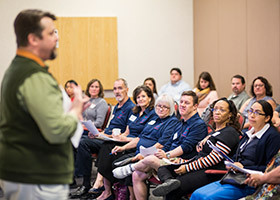 Bohn, who performs homebound education for Frisco ISD, was one of about 35 attendees at the Oct. 27 Annual Special Needs Workshop at the Catholic Center. Spreading the word has been a challenge to say the least. 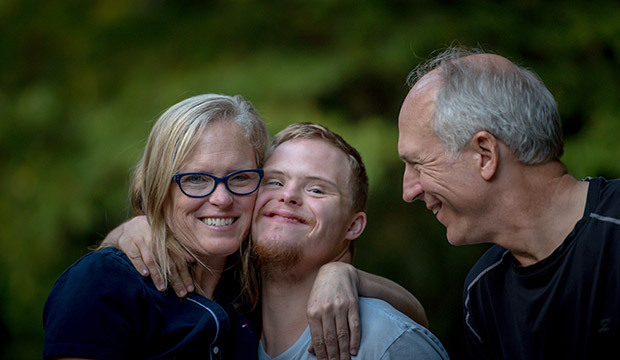 In some respects apprehension and/or misunderstanding toward those suffering disabilities is understandable, Whitehead said, especially among those who have little or no direct connection to disabled individuals. And yet, it’s essential to welcome and include disabled individuals into the sacraments and all aspects of parish life, he said. “All members of the Body of Christ are uniquely called to God by virtue of their Baptism,” Whitehead said. “In light of this call, the Church seeks to support all in their growth and holiness. Every human being is created in the image and likeness of God. As such they have inherent dignity and inherent purpose. That purpose is the beatific in the hereafter. There are no exceptions. Whitehead made quick work of one myth. Whitehead also referred to the USCCB’s document as more than mere suggestion or gentle reminder. That places responsibility on parish officials. Whitehead discussed the document’s guidelines as they pertain to sacramental inclusion for those with disabilities and the importance of proper intake and assessment for such parishioners. Such can never be a one-size-fits-all approach. That was music to the ears of attendee Niki MacDougall, who serves as director of religious education at St. Martin de Porres. MacDougall agreed that the challenge of championing the need for inclusion of disabled parishioners is huge. “I think [it’s] lack of education and a lot of people simply don’t realize the need exists,” MacDougall said. “Education has come so far but parish life hasn’t always kept pace maybe because people look at catechetics differently. The Church guidelines are important for diocesan officials, parish ministers, and all who interact with disabled individuals, MacDougall said. More important, she said, is awareness by all. St. John the Apostle parishioner Marci Bourke is assisting St. John Coordinator of Religious Education Jessica Ramirez in starting a special needs program. Bourke echoed MacDougall’s call for outreach and raising awareness. “A lot is lack of education but also awareness in general,” Bourke said. “I have a niece who’s severely autistic. But if I didn’t have that situation I don’t know that special needs is something I would have thought to become involved in. 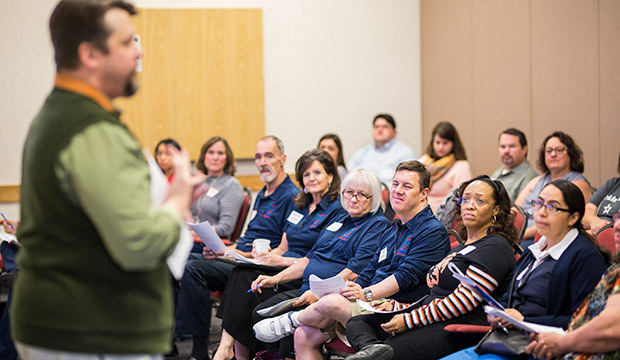 “Outreach is important because the unfortunate fact is a lot of parents of children with special needs don’t come to Mass or aren’t around the parish enough to hear about these programs.